Thanks again so much for hosting! I hope you have a great week!! 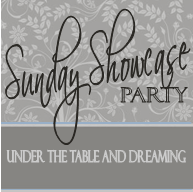 Thanks for hosting – always fabulous inspiration to be seen here! HAPPY EASTER! Thank you for hosting and having me. Thank you for the party Stephanie! Looking forward to seeing all the great projects! Thanks for hosting! Thanks for being an awesome hostess! Hope your Monday is fab! Thanks for hosting Stephanie Lynn! Enjoy your week! Thanks for hosting Stephanie:) I hope you have a great week! Thanks for hosting Stephanie! Always a great party! I’ve only been linking up to your party for a few weeks and love it! Thanks for hosting. Thank you Stephanie for hosting and sharing all the creativity and fun! Have a wonderful week! Thanks for hosting! Stephanie Lynn, thank you for hosting every week! 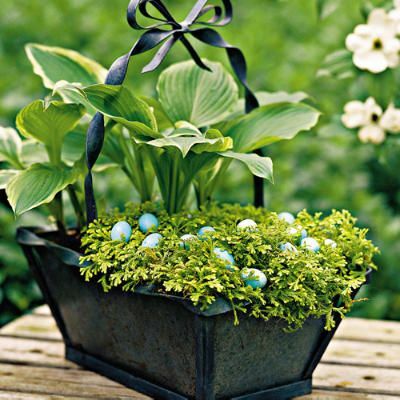 Happy Easter to you and your family…Thanks for hosting and I love the beautiful container of plants! Thank you for the great party, and have a wonderful week. Stephanie, First- I LOVE the picture you used up top. Is it yours? love the mini eggs in the greenery – perfect Easter decoration. Second – I stalked your blog way before I became a follower – it is lovely – but the thing that first attracted me was your name – it is my favorite sisters name (stephanie lynn, not under the table and dreaming!) Every time I click your blog I think of how much I love her. Thanks for having a blog that lives up to the name! I just found your blog, became a follower, and linked up! I LOVE your projects and am so excited to explore them all!! Thanks for a great party! Lots of Spring and Easter inspiration!